Yes, we can read. A few of us can even write. - Mississippi Believe It! Home » Resources » Campaign » Yes, we can read. A few of us can even write. Yes, we can read. A few of us can even write. From Pulitzer Prize winners to revolutionaries who initiated momentous cultural change … oh, yes, Mississippians can write. 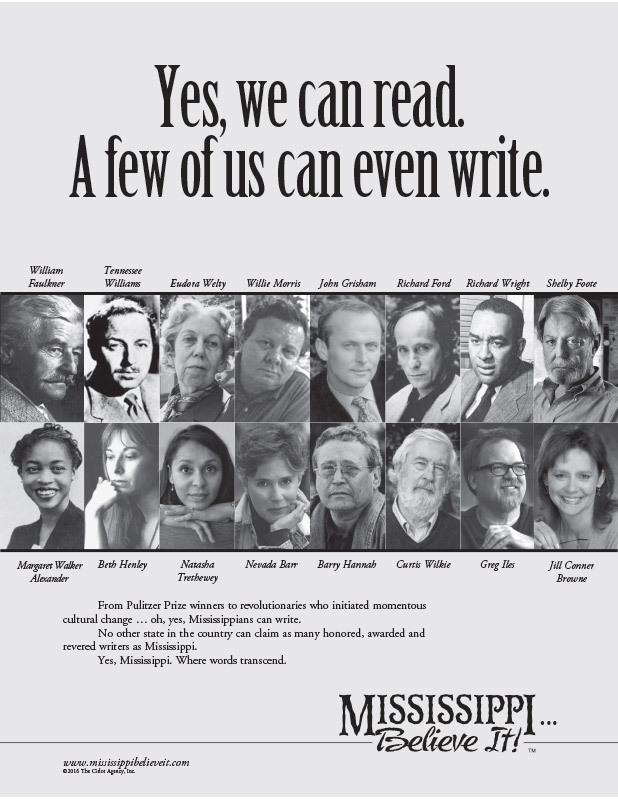 No other state in the country can claim as many honored, awarded and revered writers as Mississippi. Yes, Mississippi. Where words transcend.